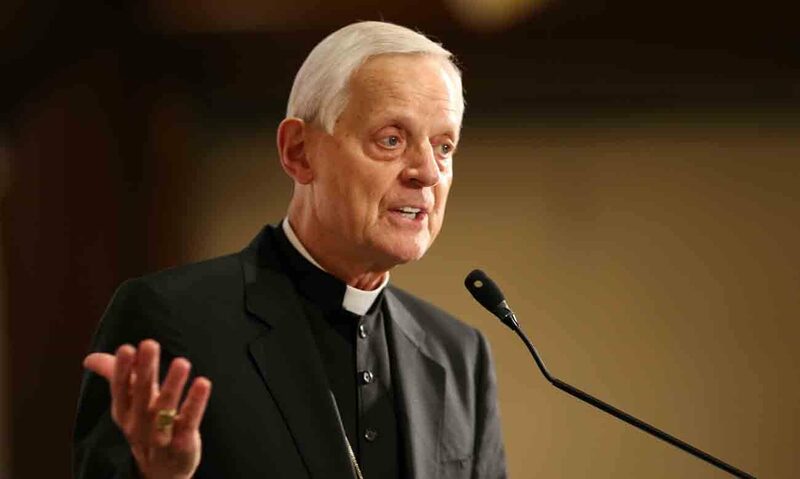 WASHINGTON (CNS) — With religious persecution against Christians on the rise worldwide, it is important for other Christians to stand in solidarity with them, said Cardinal Donald W. Wuerl of Washington. Christians in the United States and elsewhere must raise their voices on behalf of “the millions who are suffering,” he said April 20 during a symposium held in connection with the release of “In Response to Persecution, Findings of the Under Caesar’s Sword Project on Global Christian Communities,” a report detailing the nature of persecution against Christians in different nations across the globe. “Make it difficult for others to ignore,” the cardinal said. Doing so, Cardinal Wuerl noted, may require Christians “to be aware” of the persecution their fellow believers face on different continents. He suggested one response should be to “continue to support the flow of material assistance” to persecuted Christians through aid agencies like Catholic Relief Services, the U.S. bishops’ international aid agency; Caritas Internationalis, the Vatican umbrella agency for different nations’ Catholic relief organizations; or their counterparts run by other Christian denominations and organizations. He lamented the rise of intolerance in the Middle East. In Egypt, the cardinal said, “all found a way, until recently, to live together. Under the rise of ISIS … things have just continued to get worse.” He added he believes that, despite last year’s declaration by then-Secretary of State John Kerry that the Islamic State group had been responsible for genocide in the regions it controlled in Iraq and Syria, most Americans are not aware of it. Beyond these, there are nongovernmental actors like Islamic State; Philpott called them “Little Caesars” who persecute Christians. Archbishop Sebastian Shaw of Lahore, Pakistan, a country where 3 percent of the country’s 120 million people are Christians, said working together with the Muslim majority is the best course of action. While Pakistan’s blasphemy law has resulted in the deaths of many Christians, Archbishop Shaw said he does not want to have the law repealed, but he wants it modified so mob justice is eliminated. He told the story of a poor Christian couple working in indentured servitude at a brick kiln in the country. Somehow, a rumor spread that the couple had blasphemed Allah. Word got to the local imam, and “within 20 minutes there were 4,000 people” ready to exact their own justice against the couple, who had two children. Soon, both were thrown into the kiln furnace and “within five, seven minutes, they were both burned to death,” the archbishop said. The symposium also featured a 27-minute documentary, “Under Caesar’s Sword,” which explored religious restrictions and violence in Turkey and in India, along with glimpses of situations in Myanmar, Pakistan, Eritrea, Iraq and Syria.